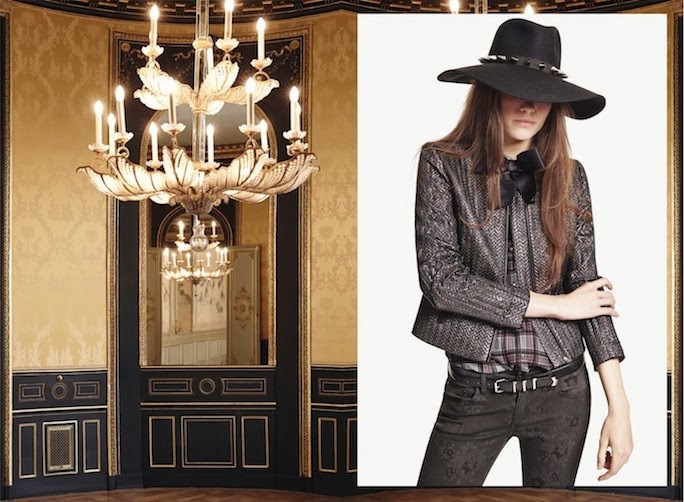 Have you heard of The Kooples yet? If not, it's time to learn the name because the French brand, who made its way to America last Fall, is continuing to expand! One part Parisian luxe, one part rock star and one part tailored sexiness - The Kooples makes must have wardrobe additions for both men and women. One of the basis behind The Kooples (think "couples") is the idea of women and men borrowing each other's style. This idea is reflected in the unisex vibe in much of their clothing. The women's line is incorporates sharp blazers and clean lined sexiness of traditional male tailoring and their men's line has slim silhouettes and unexpected detailing (like a leather collar) borrowed from women's clothing. What's even cooler is that they feature real life couples in their advertisements to illustrate this concept. I discovered the brand when shopping with a fashion designer (client) over from London for an event the PR company I work for was hosting in New York. He had superb taste, so when he beelined to The Kooples section in Bloomies I knew this was a line I had to experience. I found my absolute favorite summer sweater that day (worn here), and am now fiending to add a Kooples purchase to my fall wardrobe. What I love about The Kooples is that the women's clothing has the clean lines of Helmut Lang but a little Parisian sexiness making the it loved by both the women who wear it and the men who love them. 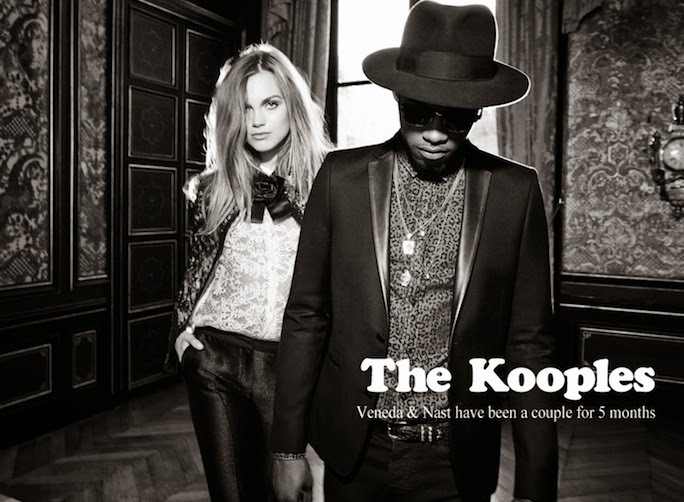 **The Kooples is available online here and here and in select Bloomingdales. Very beautiful! I want everything from here!